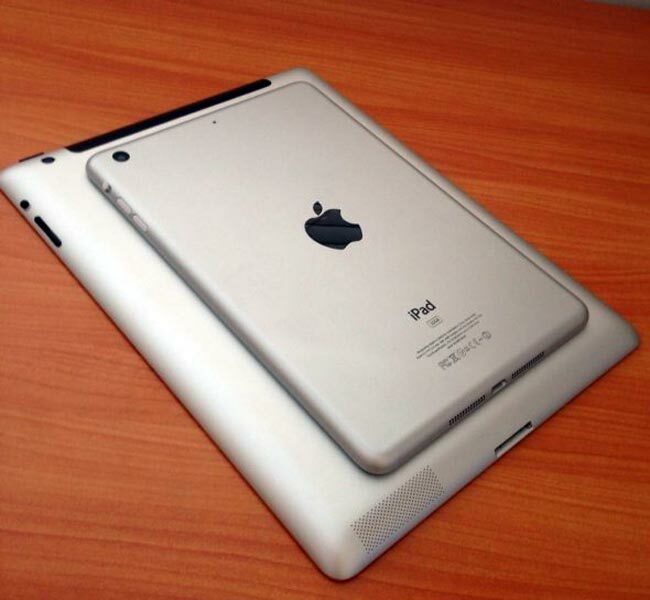 Apple is expected to announce their new smaller iPad Mini this month, and we are hoping for an official announcement on the iPad Mini next week, and now it would appear that we may have some pricing details on the iPad Mini. The guys over at Mobile Geeks have received some details on pricing for the iPad Mini, and apparently prices will start at £249 Euros, or £200 in the UK and $299 in the US, this will be for an 8GB WiFi only iPad Mini. 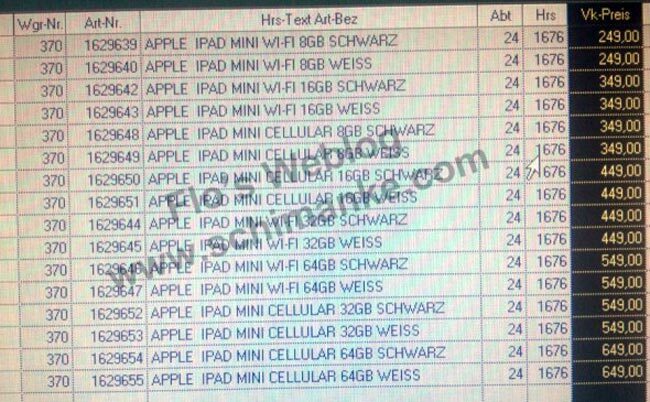 The iPad Mini is rumored to come with a choice of 8GB, 16GB, 32GB and 64GB of storage, and there will apparently be WiFi only versions and WiFi and 4G LTE models, it will come in black an white, making a total of 16 different models available, have a look at the pricing details below. This has yet to be confirmed by Apple, but the pricing seems pretty reasonable, and if Apple are looking to take on other 7 inch tablets like the Kindle Fire and Nexus 7 then this pricing would be about right.